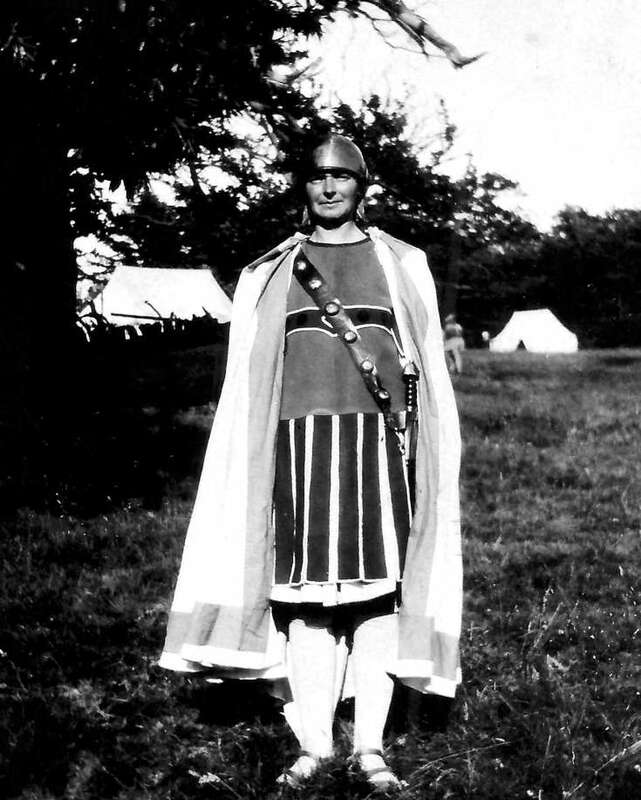 This is my grandmother, Hephzibah Doggett (née Hill) (1883-1942) dressed as a Roman soldier at a summer show in Handcross sometime in the 1930s. The Large Version shows an unknown couple similarly attired in Roman clothes. Please can anyone name them?